Sea level is measured with respect to Mean Sea Level (MSL), which is 2.35875m below BM#0054752 on Malta's Precise Levelling System Network. Tide gauge zero is 2.9222m below Mean Sea Level (based on 1 year Grand Harbour hourly tide records on paper chart). Chart datum is 0.577m below Mean Sea Level. * Sea level is measured with respect to Mean Sea Level (MSL), which is 2.35875m below BM#0054752 on Malta's Precise Levelling System Network. ** Average water depth at measuring site is 4m. Tide gauge zero is 2.9222m below Mean Sea Level (based on 1 year Grand Harbour hourly tide records on paper chart). Chart datum is 0.577m below Mean Sea Level. The Mediterranean regional subsystem of the Global Sea Level Observing System (MedGLOSS) is a CIESM/IOC (Commission for Marine Research in the Mediterranean and UNESCO Intergovernmental Oceanographic Commission) network for the real-time monitoring of sea level in the Mediterranean and Black Seas. 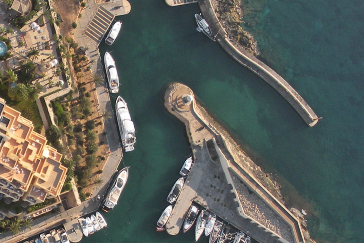 The sea level station at Portomaso marina within the Malta Hilton is run and maintained by the ex-Physical Oceanography Unit, now Physical Oceanography Research Group (PO-Res. Grp) within the Department of Geosciences of the University of Malta. The network is run in collaboration with the Israel Oceanographic & Limnological Research Ltd (IOLR). The activity was initiated and is co-ordinated by Prof. Aldo Drago, Head of the PO-Res. Grp (aldo.drago@um.edu.mt). Sea level monitoring is important for studies on global climate change and sea level rise. A worldwide eustatic sea-level rise has been forecast by the WMO/UNEP Intergovernmental Panel on Climate Change (IPCC). The major factors causing this sea-level rise being the ocean water volume expansion and ice cap melting due to global warming. From the regional perspective sea-level rise may differ significantly from the globally averaged sea-level rise forecasts, in particular due to tectonic movements. Simultaneous absolute sea level observations taking account of geodetic movements and with sufficient spatial coverage are thus necessary to better understand the signals of sea level trends and variability in the region. MedGLOSS follows GLOSS requirements and methodology, and aims to provide high-quality, standardised sea level data. The MedGLOSS network has installations in Israel, Malta, Croatia, Cyprus, Bulgaria and Romania. The PO-Res. Grp is responsible for the MedGLOSS node station in Malta. 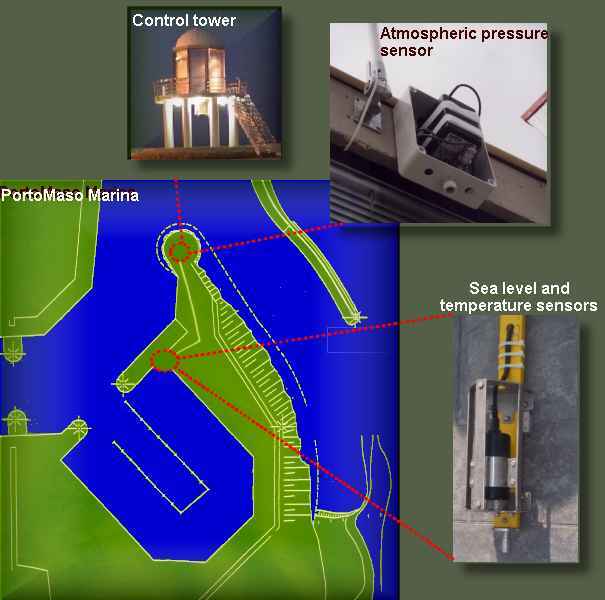 The installation of the sea level gauge was completed in February 2001 in the Portomaso marina at the Malta Hilton in St. Julians and constitutes the first real-time monitoring station for oceanographic data in Malta. The instrument collects sea level data, sea water temperature, and atmospheric pressure. The system has been upgraded in 2010 with new equipment to enable higher sampling rates, and to enable a first phase towards contributing to the tsunami detection system for the Mediterranean. The Malta MedGLOSS station is contributing as one of the stations to detect anomalous sea level signals within the framework of the Mediterranean Tsunami Warning System. This activity is a contribution to NEAMTWS, the Tsunami Early Warning and Mitigation System in the North-Eastern Atlantic, the Mediterranean and Connected Seas. Hourly averaged observations are shared in real-time with international networks and to the Israel Oceanographic and Limnological Research (IOLR) that co-ordinates the project. 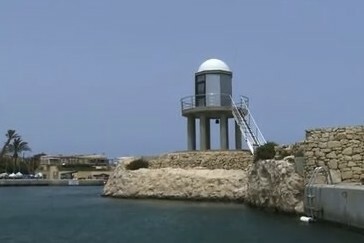 The data from the MedGLOSS station provides sea level information for climate change studies in the Maltese Islands. In combination with sea level data collected since 1993 by the ex-PO-Unit in Mellieha Bay, studies have been conducted by Prof. Aldo Drago to assess local sea level trends. Reports have been submitted to Malta’s 2nd National Report to UNFCCC, and to the publication on Health Effects of Climate Change in the Maltese Islands. On a local scale, the use of the sea level data is essential for shipping and harbour operations, for the impact of storm surges, for studies on salt intrusion in aquifers, for the estimation of extreme sea levels in connection with the building of coastal structures, and other applications. The ISRAMAR package of computer programmes integrated in a unified system provides near real-time data gathering and transmissions. At the receiving end, the software automatically controls the quality of the data received for the MedGLOSS station, including automatic regular submission of status to the operator by email messaging. The underwater sensor is 10cm in diameter and 25cm long. It is housed in a stainless steel protective frame whose diameter is 15cm and 60cm long. It is attached to a 1” diameter stainless steel rod which is approximately 1m long. The rod is inserted underwater into a vertical stainless steel tube slightly larger than 1” inner diameter, welded to a horizontal stainless rod, which is attached to a steel plate (40cm x 40cm x 2cm) found attached to the quay in situ at about 3m (in a total depth of 3.5m) below sea level. The Setra 470 Digital Pressure Transducer is a highly accurate pressure measurement system, utilising the patented SETRACERAMTM sensor, advanced micro-computer based electronics, and sophisticated firmware. The Setra 470 accurately measures and reports barometric pressure. The digital design of the Setra 470 provides a simple and reliable communications interface for easy integration into digital control systems. 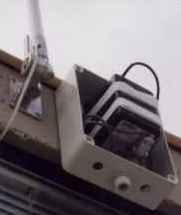 This, in addition to the digital signal processing of the sensing element signal, allows the elimination of inaccuracies and cost of an analogue data acquisition module. The sea level station registers data every fifteen seconds on a computer on site. This computer communicates data to a server at the University of Malta. Time is synchronised with the MedGLOSS network through the GPS clock. The data is elaborated and published in real time. The data displayed on this site are restricted over a limited time period. Agencies interested in subscribing for direct access to the data can contact Prof. Aldo Drago. The old PO-Unit website can be accessed from here.